Our guests from around the world make everything we do possible, from education to conservation to sharing our love of sharks, mantas, dolphins, whales and more! 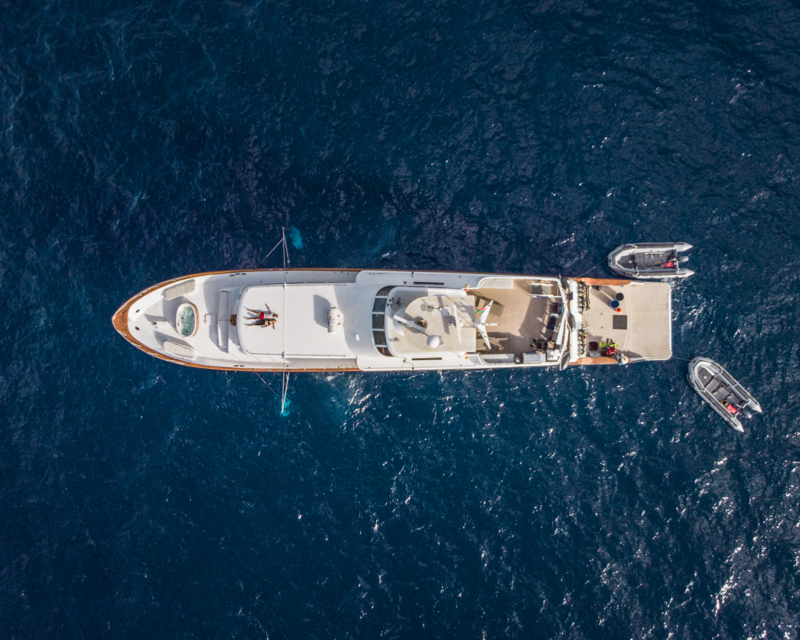 We are thankful to welcome aboard the best guests in the world, and we love it when we hear about their amazing adventures onboard our liveaboards! 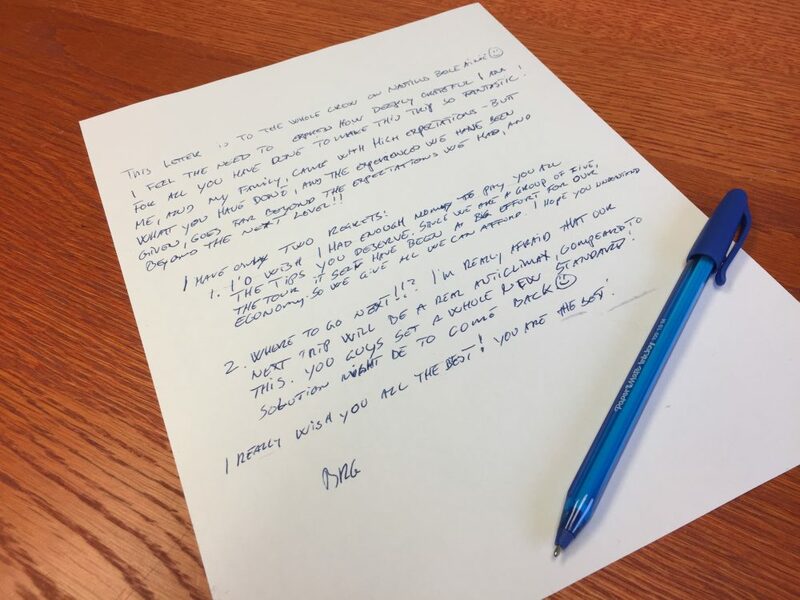 Please enjoy this very special letter from one of our recent guests onboard the Nautilus Belle Amie, as well as a wonderful collection of recent guest blogs. 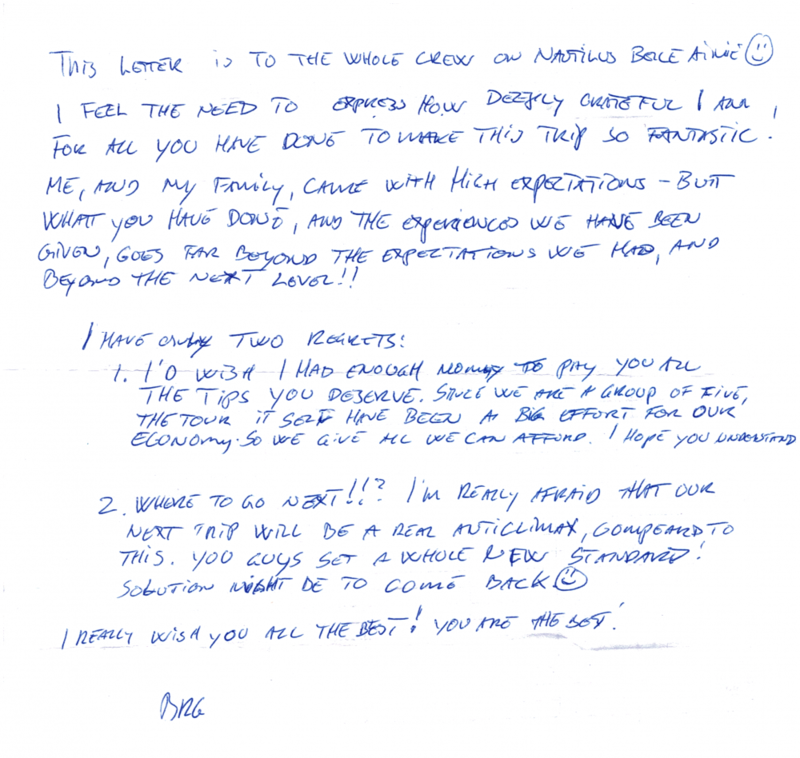 This letter is to the whole crew on Nautilus Belle Amie. I feel the need to express how deeply grateful I am for all you have done to make this trip so fantastic! Me, and my family, came with high expectations but what you have done, and the experiences we have been given, goes far beyond the expectations we had, and beyond the next level!!! 1. I’d wish I had enough money to pay all the tips you deserve. Since we are a group of five, the tour itself have been a big effort for our economy. So we give all we can afford. I hope you understand. 2. Where to go next!!? I’m really afraid that our next trip will be a real anticlimax compared to this. You guys set a whole new standard! Solution might be to come back. I really wish you all the best! You are the best! 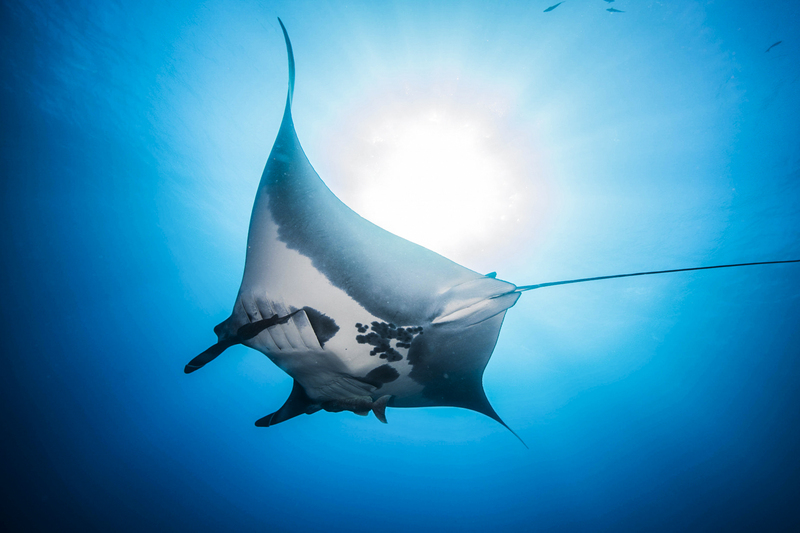 One of my favorite animals on Earth is the Manta. Yesterday I had the chance to see one in its natural habitat for the first time in my life. I found a couple of them on the first dive and they were kind of shy. I was wondering if it was just Nautilus’s marketing strategy to say “the friendliest mantas”; then the second dive came along. A manta bigger than I could imagine stayed with us for 40 minutes, circling the group, getting as close as half a metre from us, from me. You could see that it enjoyed our bubbles, it enjoyed our presence. It was truly a friendly manta, welcoming us into its home and having “spa day” with our bubbles. Since we are early in the season, I did not expect to see hammerhead sharks, whale sharks or Humpback whales. However, on Day 2 I saw a Scalloped Hammerhead shark at 20m which is a bit unusual. Truly alien and amazing. But the moment that blew my mind was that as I turned around, 2 mantas were travelling towards our group. It was such rush to see so much large marine life all at once. It is only Day 3 now but I already know that I will be returning. The two mantas decided to circle our group and gracefully maneuver in between and around the members of our dive group that were randomly scattered in the water. As instructed, we stayed still to allow them to gracefully navigate the human obstacle course that we inadvertently created. When I close my eyes, I have this inner image: Me as the last diver on the safety stop, above the others on the way up in the boat. Sea is without limit in its deep blue. Around me are five huge mantas. They are swimming in circles, toys, loops to the surface, occasionally one or two drops by and it seems as if they were waving goodbye. Is it possible to have a better ending on a fantastic journey? I don’t believe so. Now it’s time to head back to work. With these images and experiences in my memory – it will be a joy! This trip has really exceeded every expectation I had – and they were really high! I am so grateful! Thank you so much! 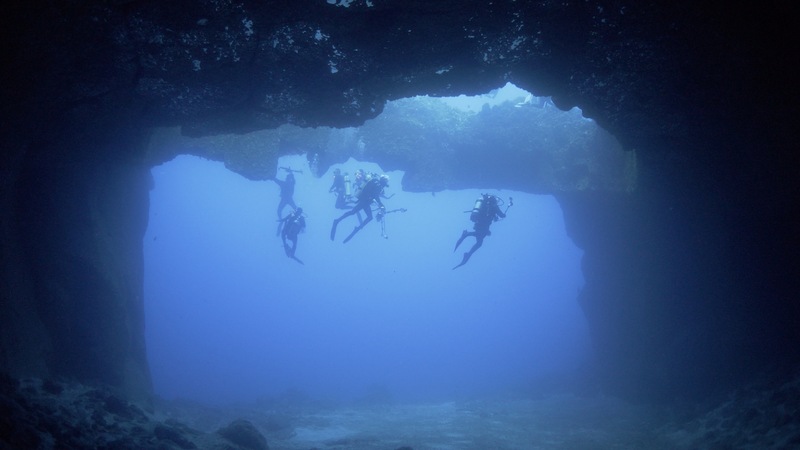 What an impressive dive site, great conditions and plenty to see. Great boat and crew and the guests are fabulous company, what more could you ask for!? We had three fantastic dives at the Rock (Roca Partida) with sharks, sharks and more sharks! Visited by an inquisitive Black Manta at the end of dive 1. Crew are superb and making this trip most memorable. Presentations by Niv and Rodolfo informative and are a real added bonus. Plongees rocknroll, impressionnantes au milieu de nulle part …..mais pourrions nous parler de Yanis et de ses delicieux breakfast, lunch, snack et diner ? Merci et vive le neoprene ! What an amazing check out dive! Mantas & Hammerheads & Galapagos sharks! 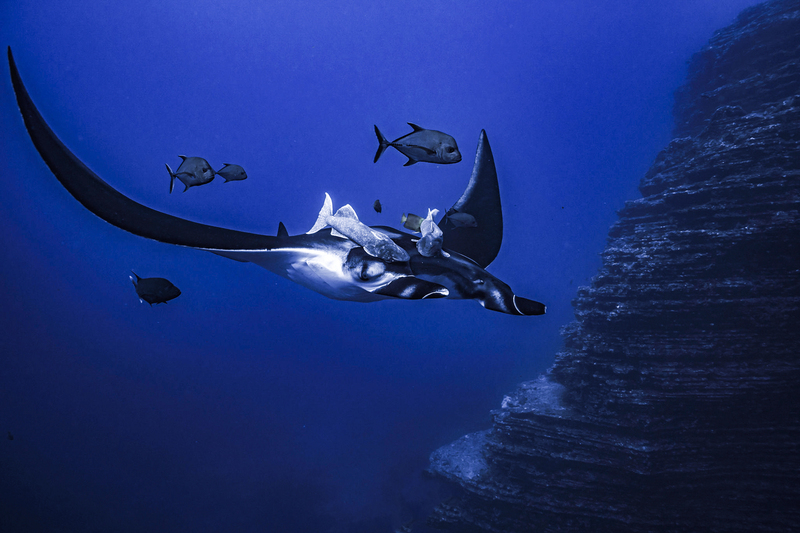 A beautiful lava-flow outcrop is the perfect setting for black and chevron oceanic manta rays circling overhead, with sightings of dusky and hammerhead sharks. 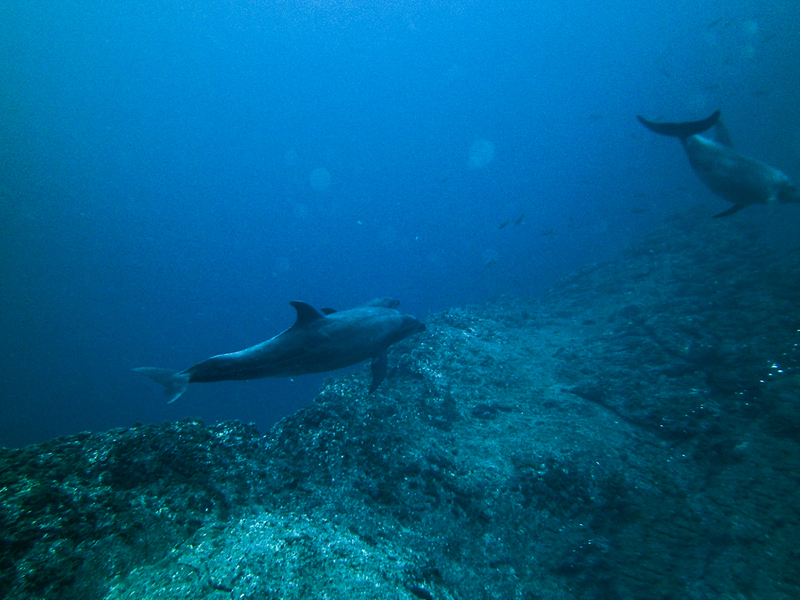 And the best safety stop in ages – a pod of dolphins swimming by. Thanks for the great presentations from Niv and Rodolfo – I am having such a great time on this liveaboard! OMG! Das war ein super Tauchgang. Die ersten 10 min. sind wir nur ein bisschen umhergeschwommen. Aber danach ging es los. Wir haben aus der Ferne 3 Hammerhaie gesehen! Dann ganz viele Weissspitzhaie, ein Galapagos Hai, Silberspitzhai und am Schluss eine Gruppe Delphine, die vor uns getanzt haben. Beim Sicherheitsstop kamen mochmal 3 Delphine. Einer ist voraus geschwommen und dann kam die Mutter mit dem Jungen. So nahe und so schoen gewesen dies zu sehen. 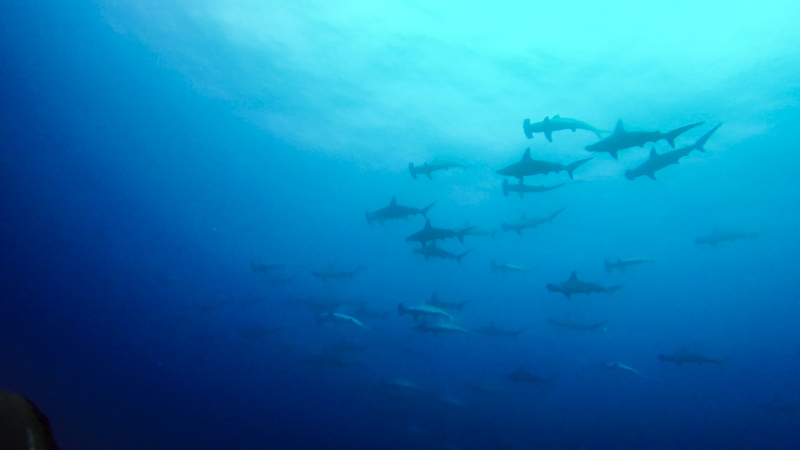 Two schools of hammerheads during the check out dive…. just imagine what is coming next! I feel so lucky to dive here, a dream coming true! This check out dive will remain my Number 1 for a very long time! 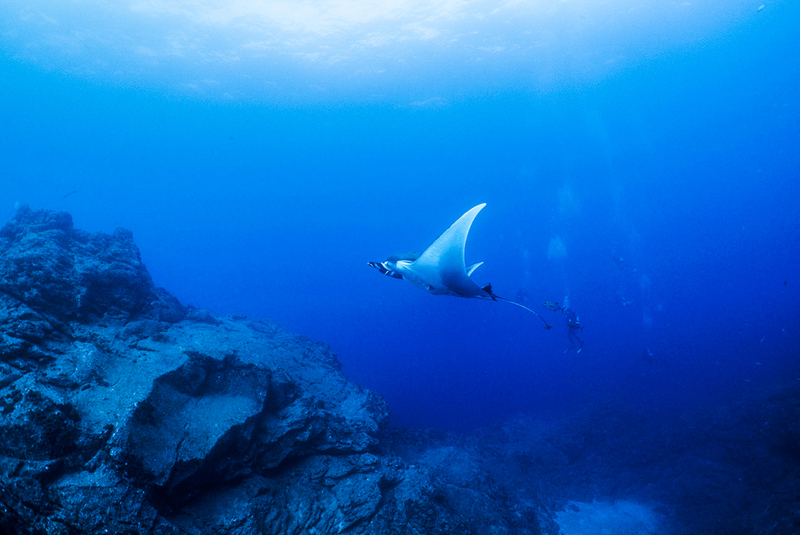 Being visited by Mantas, a school of Hammerheads and a Galapagos shark… I couldn’t stop smiling. Jaw dropping stuff if it wasn’t necessary to keep my regulator in my mouth!